The pace in the Capitol has been amazing. Yesterday, there were some 60 bills reviewed by the Senate Judiciary Committee, where I hold the title of Vice Chair, and it took more than 10 hours! One of the bills presented was AB 813 (Holden), which the Courthouse News Service covers in the piece below. In 2001, I had the opportunity to serve as Chair of the Southern California Edison (SCE) Creditors’ Committee. My Treasurer’s portfolio had Edison International paper that was impacted by the energy crisis that California was dealing with and their subsidiary, SCE, was downgraded. Dealing with FERC, but in a different context, was a shivering experience. But, I’m envisioning a better situation going forward. Consequently, I voted for the bill. SACRAMENTO, Calif. (CN) – A California Senate panel advanced a bill Tuesday that would merge California into a regional energy market, despite environmental groups remaining split on the measure and labor groups in opposition. 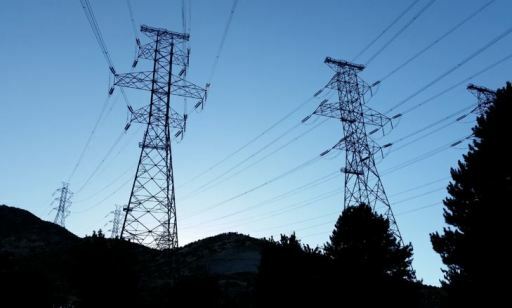 Assembly Bill 813 would lump the Golden State with up to 13 western states in the Regional Transmission Organization, a wholesale electricity market stretching from Canada to Baja California. Thirty-eight separate operators known as “balancing authorities” stretch across the interconnected western United States and make up approximately 20 percent of all the electric capacity in the United States and Canada, according to legislative analysis of the bill. The balancing authorities ensure a real-time balancing of power supply and demand across the region. California’s current system board, appointed by Gov. Jerry Brown, would be suspended and any regulations adopted by the multistate body would be subject to approval by the Federal Energy Regulatory Commission. Four out of five commission board members are appointed by President Donald Trump. The 4-1 vote by the state Senate Judiciary Committee to approve AB 813 did not reflect the considerable amount of debate on the bill. Committee chair Hannah-Beth Jackson, D-Santa Barbara, voiced concern over turning the Legislature’s oversight of the state’s energy operator over to the feds. Assemblyman and AB 813 author Chris Holden, D-Pasadena, told the committee the federal commission operates under powers limited by the Federal Power Act. Holden also said that AB 813 would compel California’s system operator to adopt open smeeting and record-sharing practices that comply with the Open Records Act. The system operator supports AB 813 and said in a recent study that a regional power grid market could generate $1 billion to $1.5 billion in annual benefits to California ratepayers. The independent agency oversees 26,000 miles of transmission and a $10 billion-plus annual market that delivers 80 percent of the state’s electricity, according to its website. The bill now moves on to the state Senate Appropriations Committee. Gov. Brown and several prominent environmental groups including the Natural Resources Defense Council and the Environmental Defense Fund also back the measure, claiming it will cut costs for consumers and bring more clean energy into the state. They also hope the plan will phase out fossil fuel plants. Holden told committee members the bill would allow for electricity to be traded “more efficiently across state lines” while allowing the state to export unused renewable energy from sources such as solar and wind energy producers. Lauren Navarro, a policy manager with the Environmental Defense Fund, told the committee the bill would “cement California’s leadership” in the national movement to supply states with clean energy. But opponents of the bill – at least 65 of which are listed in the state analysis – say deregulation of the market threatens the state’s transition away from reliance on fossil fuels, opens it up to malicious speculation and would cost residents billions of dollars in fees. 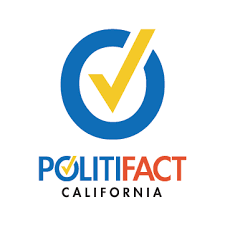 Opponents of the bill include the California State Association of Electrical Workers, Food and Water Watch, the California Labor Federation and the Southern California Public Power Authority. Jaime Court with Consumer Watchdog said lawmakers caved to pressure and allowed the state’s environmental laws and renewable energy goal “on the chopping block.” Court said the bill would give away California’s control over its own grid to western states dominated by coal. Consumer Watchdog released a 48-page report, “Betting Against the House: How California’s Leaders Could Gamble Away Our Energy Future on a Western Power Trading Casino,” on June 18 that said AB 813 undermines California’s control of carbon emissions and pollution from power plants and will lead to the overturning of California laws. If passed, the bill would end California’s control of its own electricity market and force the state to buy power generated in other coal-heavy states, the report said. Matt Freedman, attorney for The Utility Reform Network, said he was doubtful that California could every truly leave the regional body, as proponents have promised, if disagreements arise. Freedman said legislators would be giving up control of the state’s “clean energy goals” by approving the bill. Ralph Cavanagh, energy program co-director at Natural Resources Defense Council, said there is an “unconditional right of exit” for all state members of the proposed regional body. State Sen. John Moorlach, R-Costa Mesa, said the debate on AB 813 “aroused a lot of memories” of the state’s 2000-2001 energy crisis. In those years, the state suffered a shortage of energy supply caused by market manipulations and capped retail electricity prices which led to multiple statewide blackouts and the collapse of one of the state’s largest energy companies. The crisis also led to a successful recall of then-Gov. Gray Davis, in part due to voter outrage over his handling of the situation. Enron was a U.S. energy-trading and utilities company that facilitated one of the biggest accounting frauds in history, using false narratives to inflate revenues. It was also implicated in the state’s energy crisis. Moorlach said he was concerned the state would be charged for sending leftover energy from renewable sources such as solar power to other states. Cavanagh, who backed Enron in a 1997 deal that saw the ill-fated company acquire Portland General Electric, told Moorlachhe was identifying part of the “fragmentation problem” with the state’s current grid.